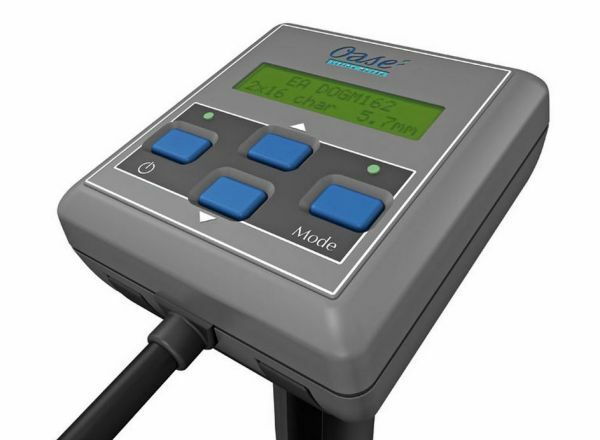 The OASE ECO Expert Pump Control is designed for connection to the OASE AquaMax Eco Expert and OASE Aquarius ECO Expert filter and fountain pumps. 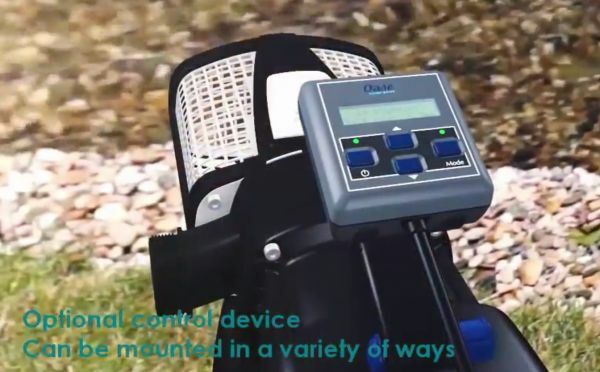 This innovative controller will not only allow electronic adjustment of the pumped water flow and engagement of SFC (AquaMax ECO Expert) or DFC (Aquarius ECO Expert), but will also provide visual feedback as to how the pump is performing and report potential malfunctions. 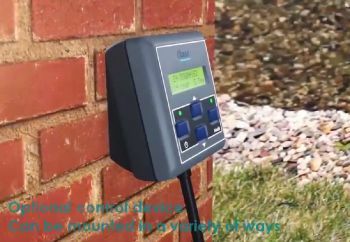 The weatherproof device is supplied with a 10 metres (33ft) of special DMX-RDM cable which features an IP68 rated terminal for underwater connection to the Expert ECO pump. The digital display is powered and illuminated by the pump itself, so there is no extra requirement for electrical connection to power the controller. 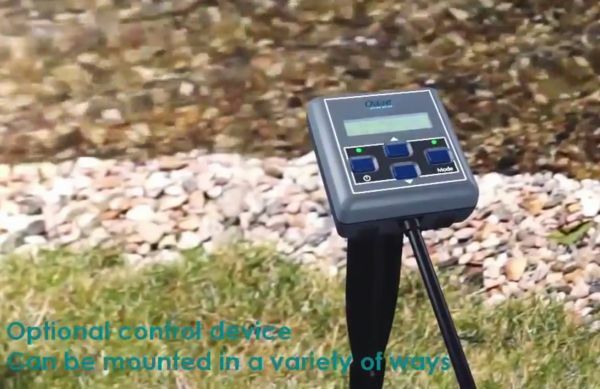 The ECO Expert Control can be used to electronically reduce or increase the water flow making this ideal for larger ponds with filter systems, as less flow is required during the winter months than in the summer. 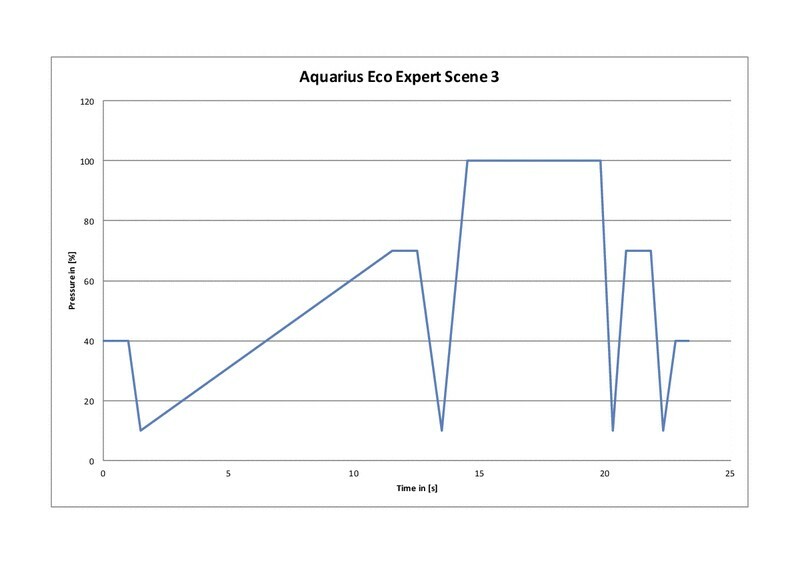 As the flow is electronically reduced, this will also save on energy consumption. 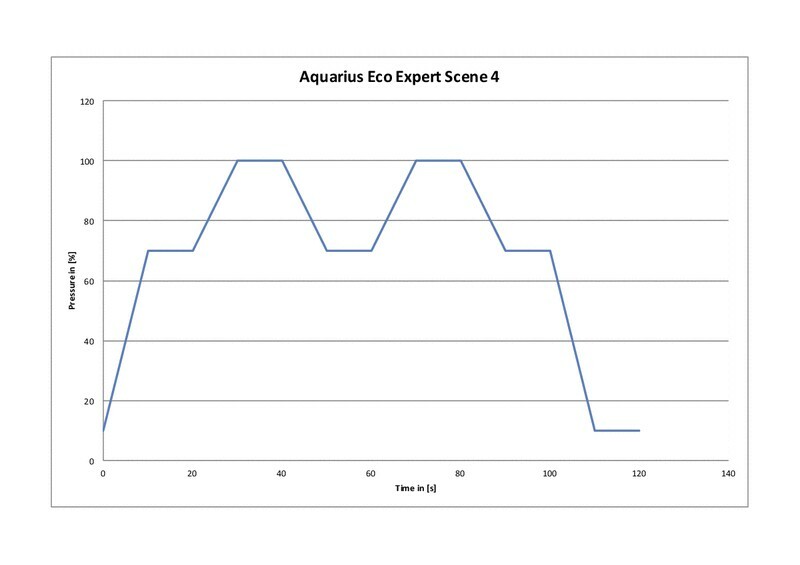 Flow adjustment is also very effective on larger waterfalls, streams and fountains, allowing the user to adjust the water display to suit their mood. 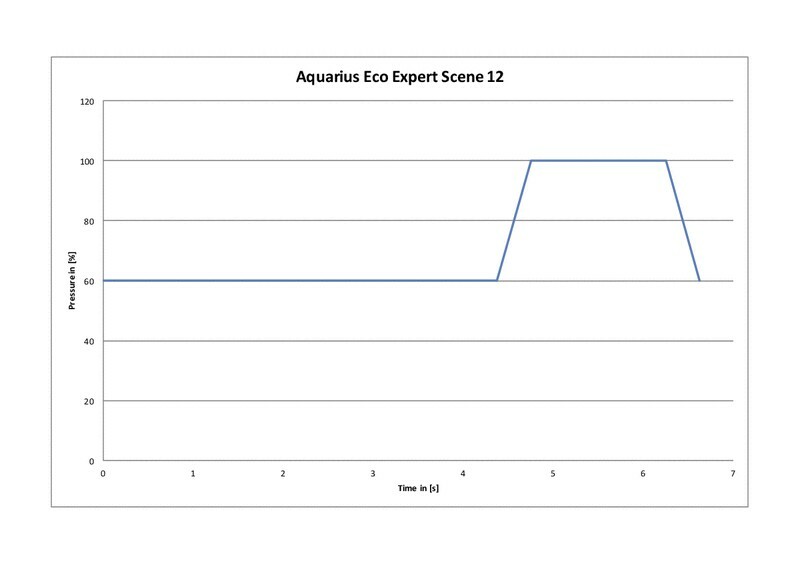 On/Off switching of the ECO Expert pumps. 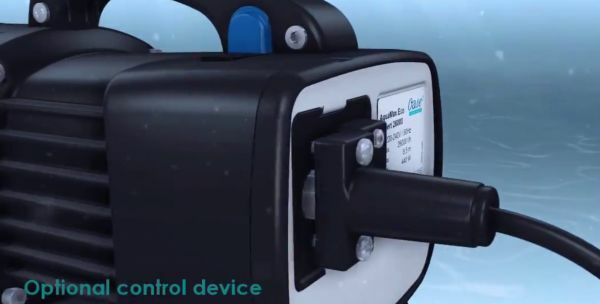 Electronic Flow adjustment 0% to 100% (reducing flow and power consumption). 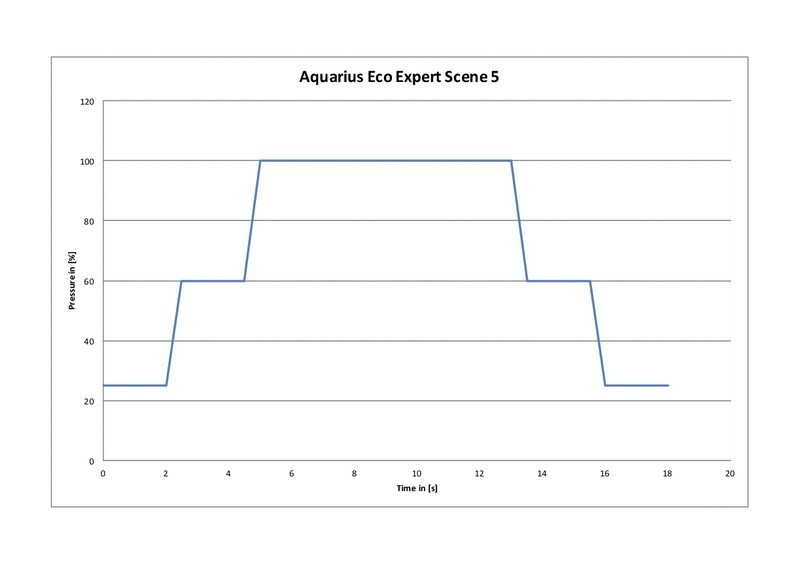 On/Off and setting adjustment of SFC (Seasonal Flow Control) for AquaMax ECO Expert pumps. 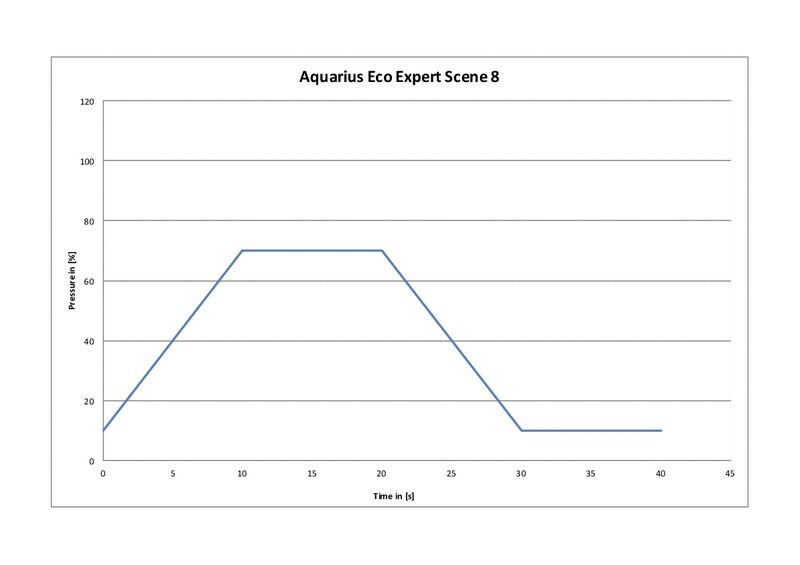 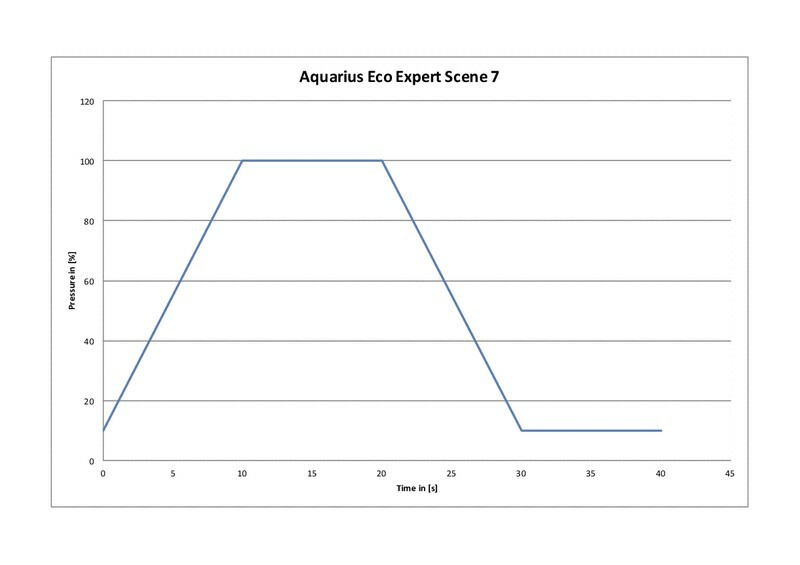 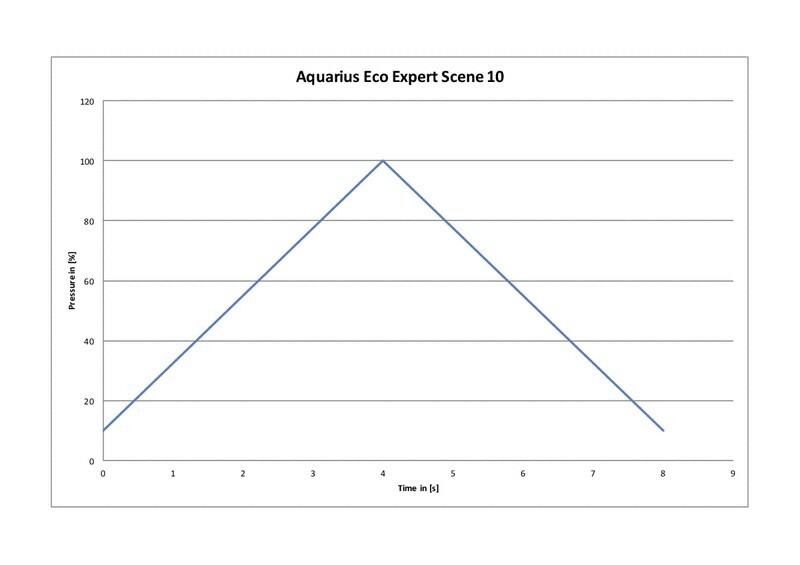 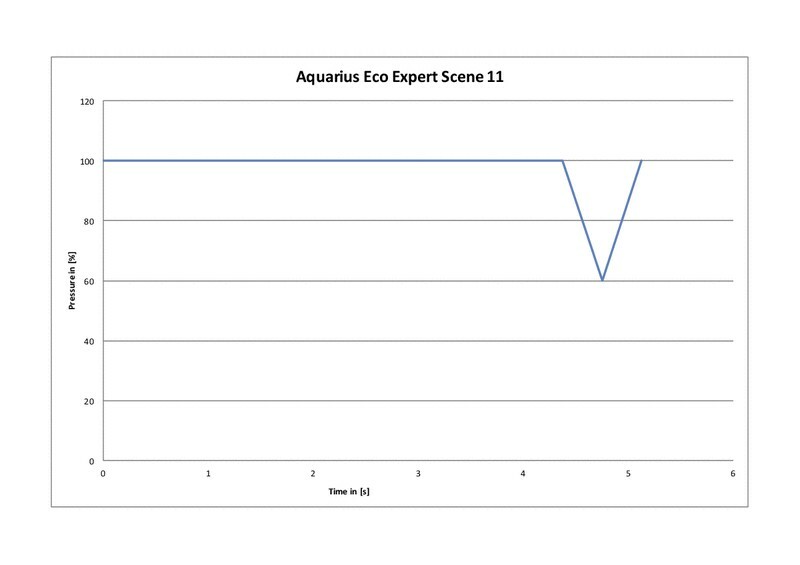 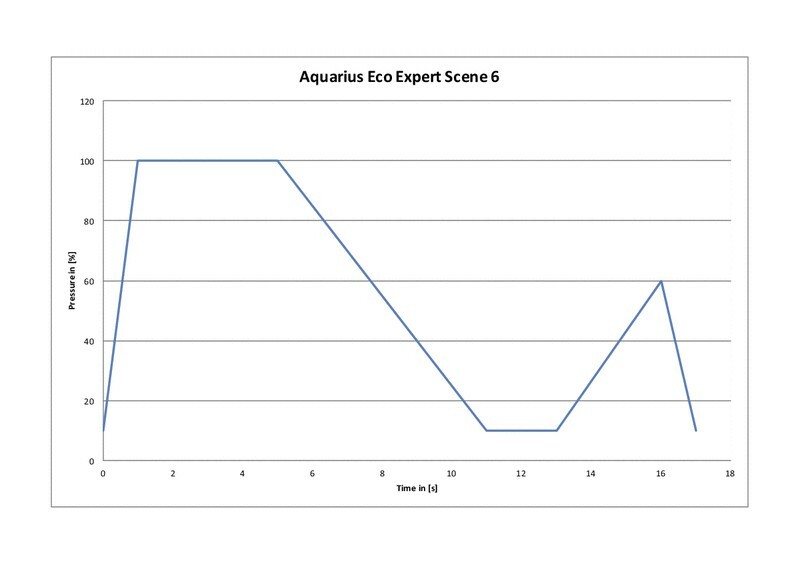 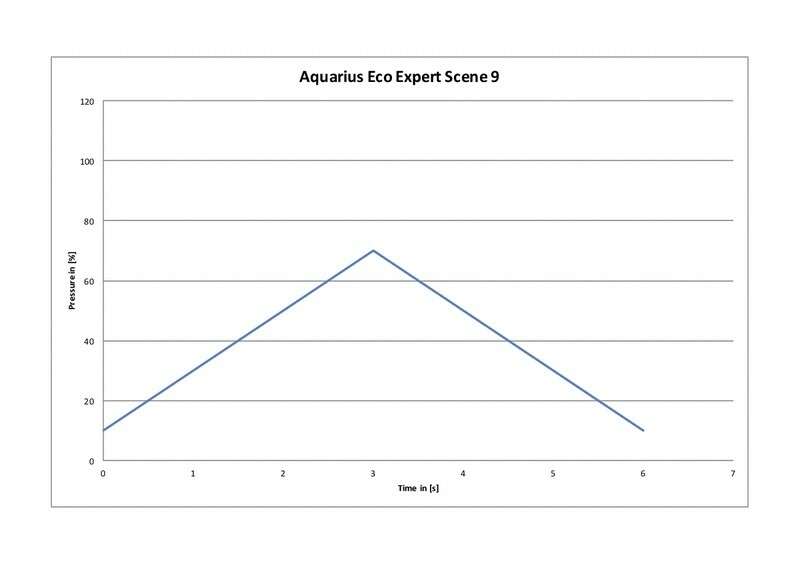 On/Off and scene selection of DFC (Dynamic Function Control) for Aquarius ECO Expert pumps. 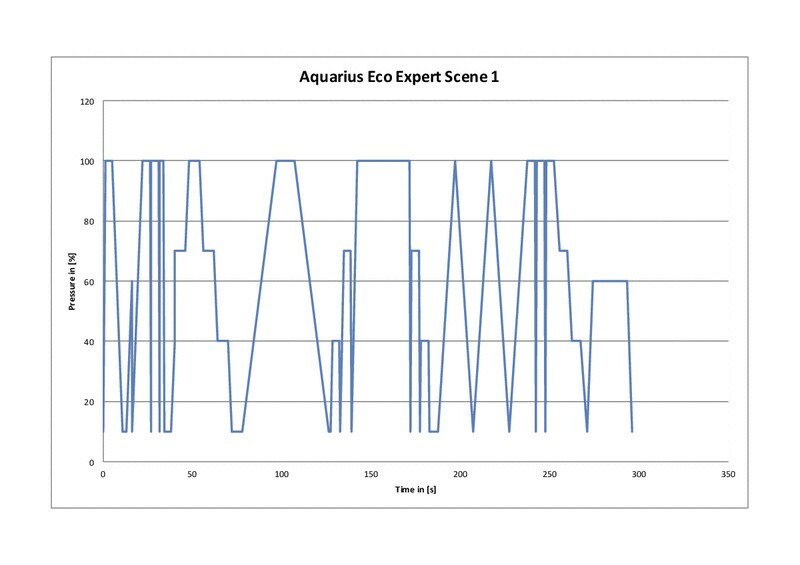 Live reporting of Pump Status, Current Power Consumption and Speed RPM. 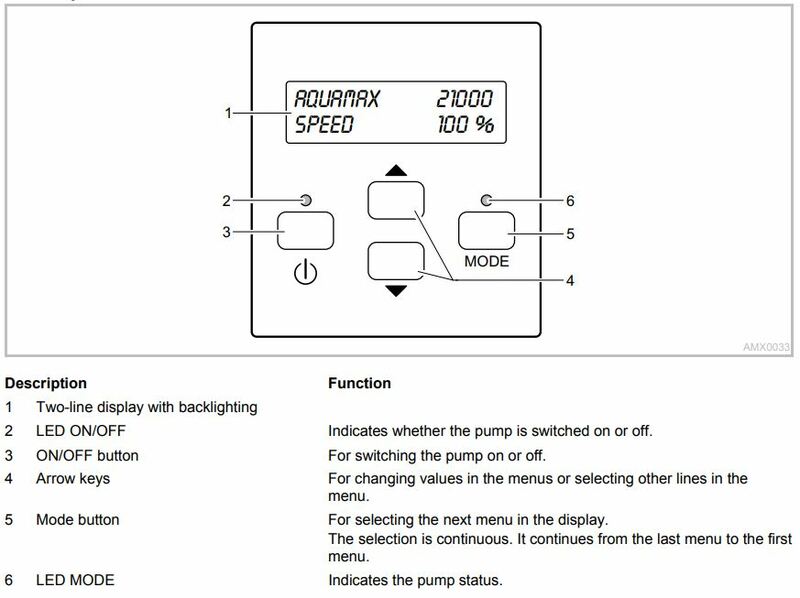 Total hours of runtime & pump serial number display. Fault reporting – No Water / Motor Blockage / High Temperature / High Power warnings. WARNING NO WATER – Indicates that the pump has run dry or is excessively soiled. 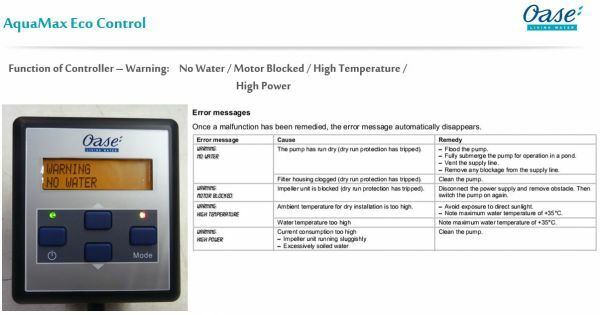 WARNING MOTOR BLOCKED – Indicates that impeller is restricted and dry run protection has tripped. 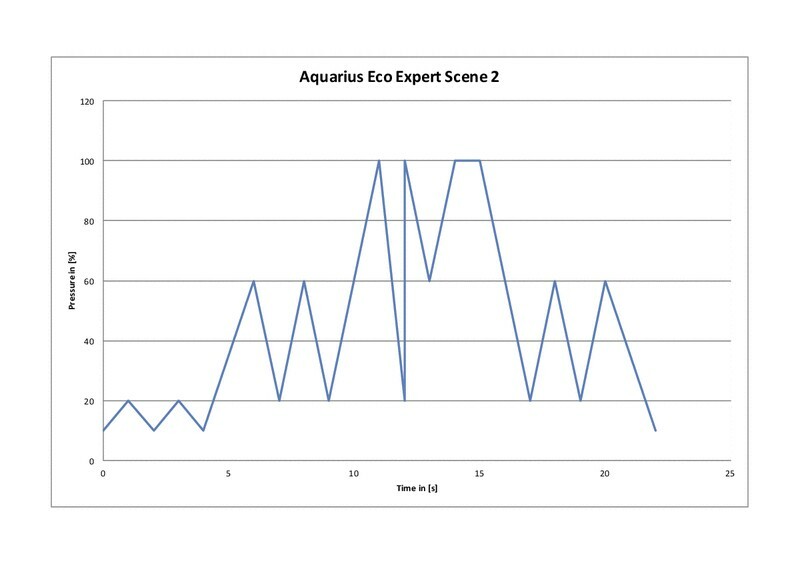 WARNING HIGH TEMPERATURE – Water temperature or ambient temperature for dry install is too high. WARNING HIGH POWER – Indicates current consumption is too high, impeller restricted or soiled water.